Lovers of Indigenous art will be impressed with this beautiful but practical, melamine salad servers, which utilise art work by Maggie Long, an artist who’s part of the Yarliyil Art Centre of the East Kimberley region of Western Australia. 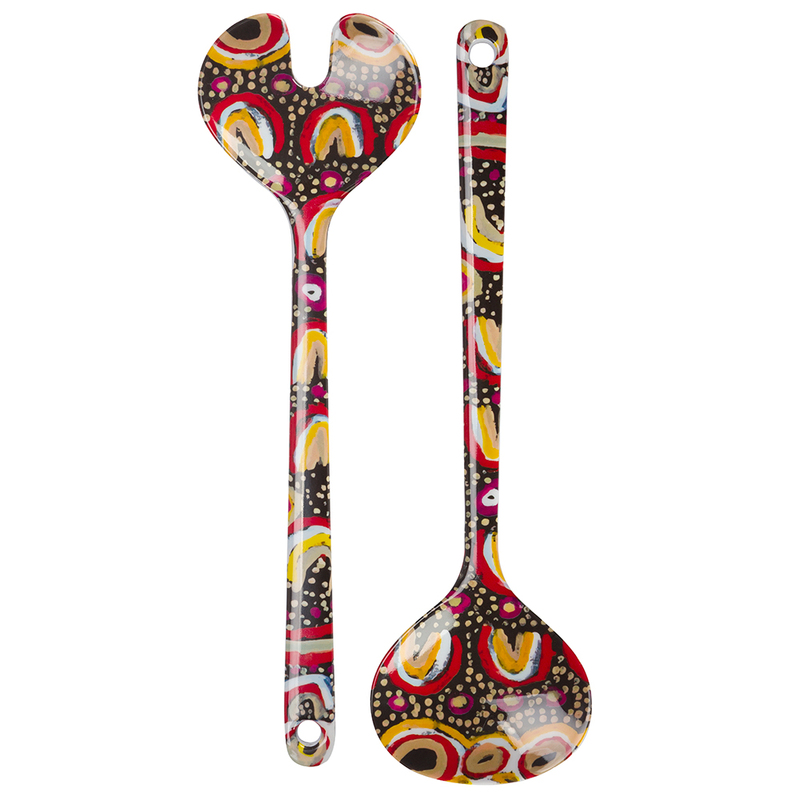 The art work on these salad servers is from one of Long’s pieces in distinctive red, yellow and black. They would be a standout in any salad bowl, particularly one by an indigenous artist and would add some more creativity to your table. Benefits from the sale of these pieces go directly to the artists and the Yarliyil Art Centre, which is as excellent initiative. Dimensions: 28cm (l) x 8cm (w).